Surprisingly, this simple tool isn't typically found in emergency medical kits with EMS teams or in hospitals. Atkins hopes the findings of the research will change that. In the meantime, she says there are several apps that can be easily downloaded on your mobile phone. 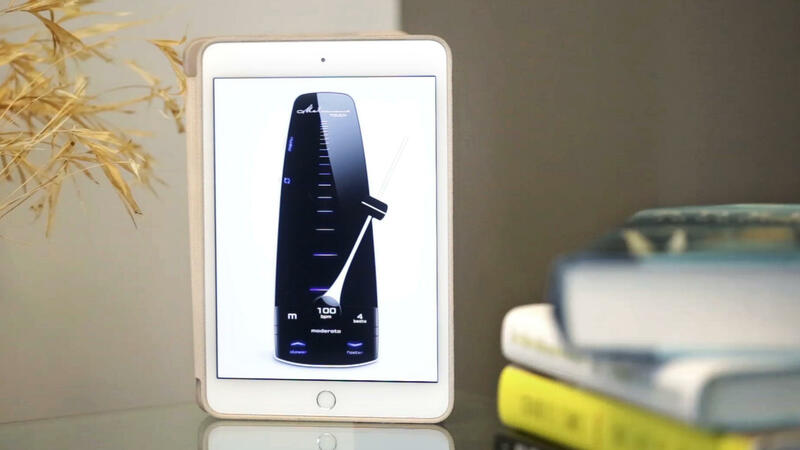 Set it to 100 beats per minute, or quarter notes, since the app is typically designed for musicians. It's not a bad idea, says Atkins, for all of us, medical professional or not, to download a metronome app and get trained in CPR just in case. We also have a little study in the journal Pediatrics to tell you about today. It's the story of how an instrument used by musicians helps people perform CPR. NPR's Patti Neighmond reports. PATTI NEIGHMOND, BYLINE: It makes sense. The heart beats rhythmically, and so does the metronome. NEIGHMOND: Now, that metronome's beating at a hundred beats a minute. Cardiologist Dianne Atkins, spokesperson with the American Heart Association, says that's the same number of chest compressions you need to make CPR as effective as possible. DIANNE ATKINS: That's a fairly fast rate. It's hard to maintain without something to guide you, to tell you that you're doing it at the correct rate. NEIGHMOND: Kneeling by the victim, one hand on top of the other over the center of the person's chest, elbows straight, pressing down with both hands 100 to 120 times a minute. ATKINS: Because what we know is that too slow and too fast decreases the effectiveness. NEIGHMOND: Now, we're not talking about everyone carrying around a metronome in case CPR is needed. Most studies involved medical professionals. Earlier ones looked at metronome help with CPR for adults. This study looked at children. Over 150 medical providers performed two rounds of chest compressions on pediatric manikins, one with a metronome and one without. It turned out the metronome increased CPR effectiveness by 22 percent. ATKINS: What we know for sure is that high-quality CPR improves survival. And so this is an additional feedback mechanism for rescuers to know that at least they are providing the compressions at the appropriate rate. NEIGHMOND: But surprisingly, this simple instrument isn't typically found in emergency medical kits. Atkins hopes the findings of the study will change that. In the meantime, she says there's an app for that. ATKINS: You can just set the speed, a hundred compressions - or it will probably ask you for a hundred quarter notes because it's usually done for musicians - per minute. NEIGHMOND: And Atkins says it's not a bad idea for all of us, medical professional or not, to download a metronome app and be trained in CPR just in case. Patti Neighmond, NPR News. Transcript provided by NPR, Copyright NPR.